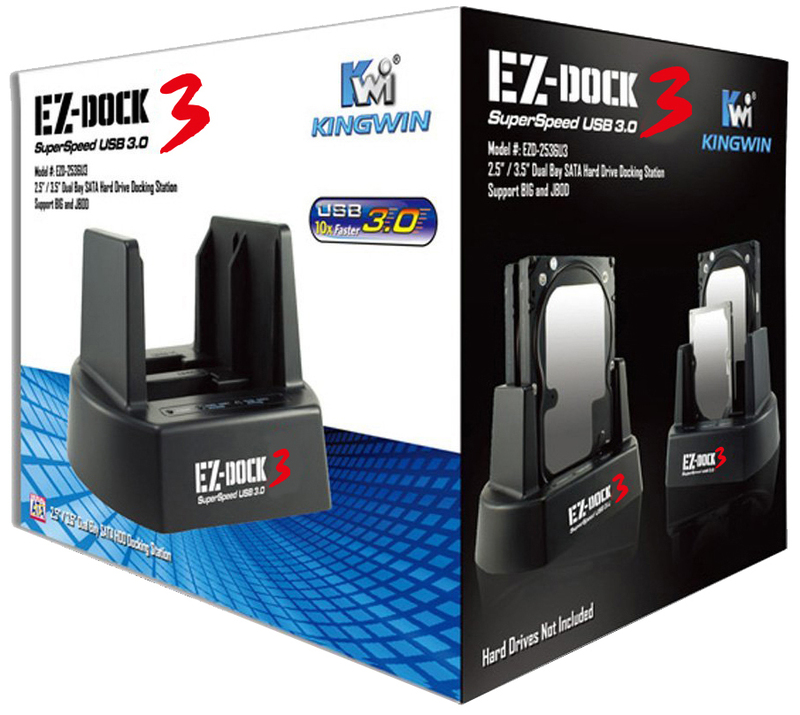 HDD Docking Station EZD-2537U3 | KWI Technology Inc.
Is a Super-Speed USB 3.0 Dual-Bay 2.5” / 3.5” SATA Hard Drive Docking Station which also can work as a stand-alone drive duplicator. 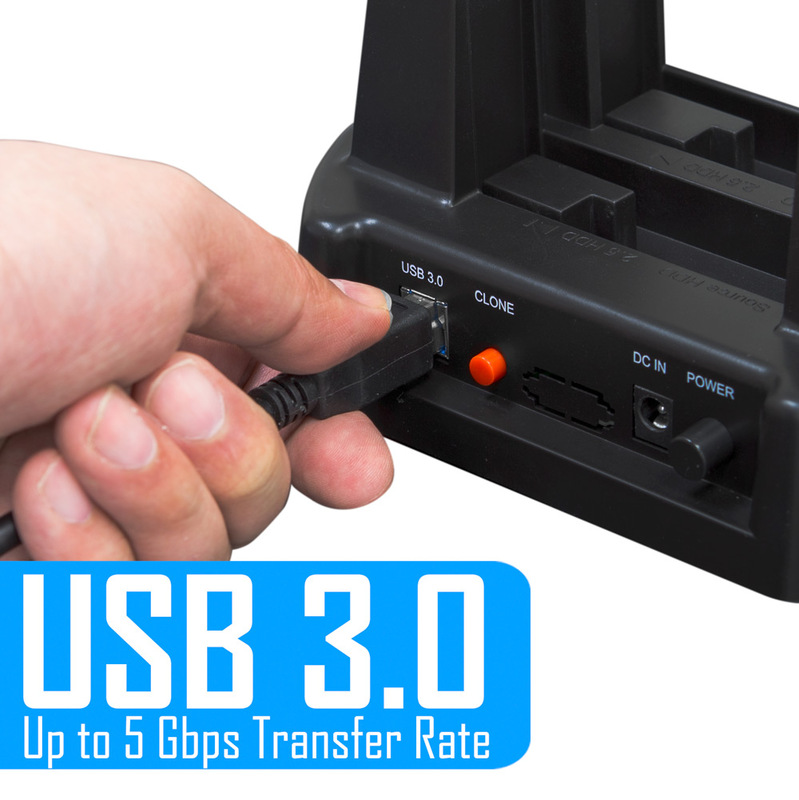 Super Speed USB 3.0 interface has data transfer bandwidth of up to 5 Gbps offering 10x faster performance over Hi-Speed USB2.0 (480 Mbps) while still retaining backwards compatibility and devices. 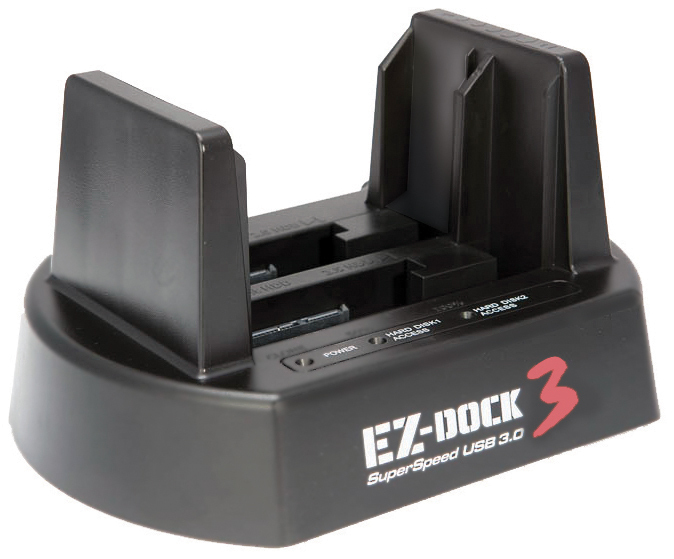 Super Speed USB 3.0 also works well with the latest Windows version (10/8/7), MAC OS X and any distribution of Linux. 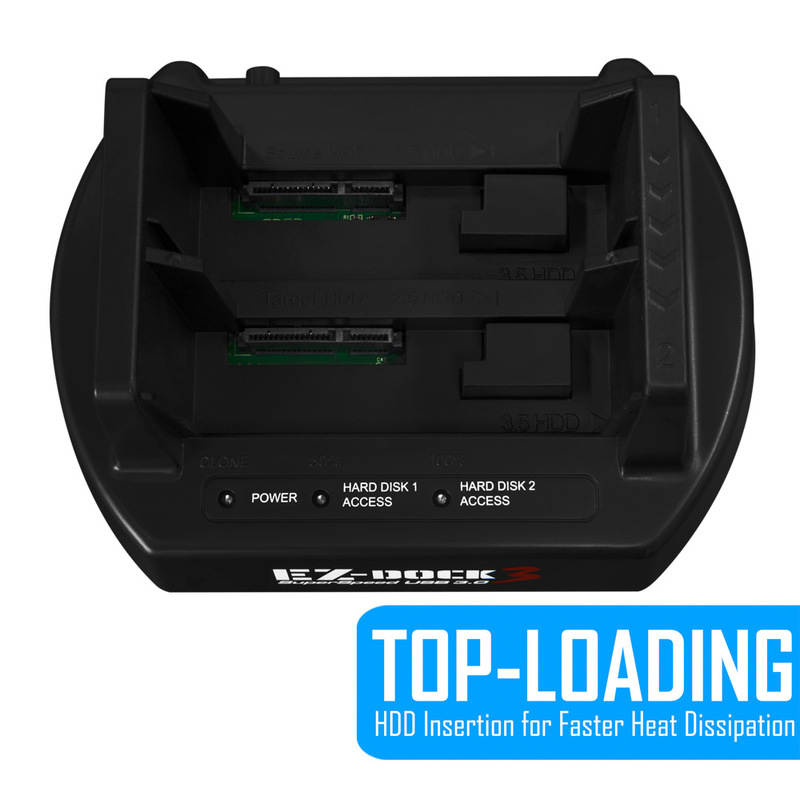 Top-loading bay lets you easily insert one or two 2.5” or 3.5” SATA Hard Srives or Solid State Drives (SSD). 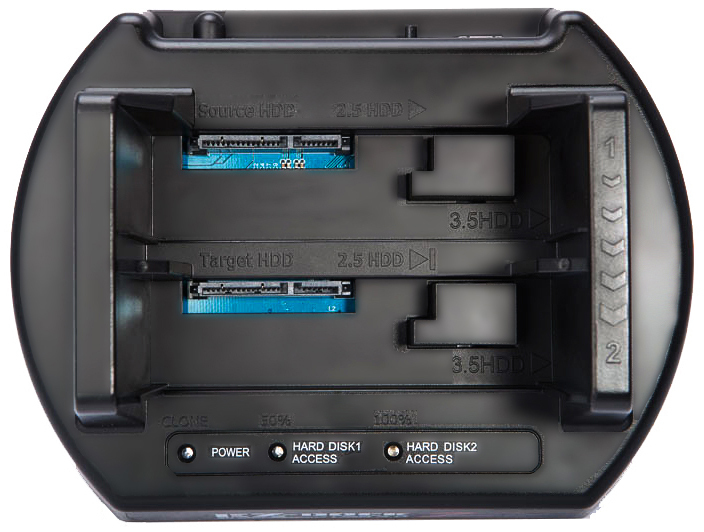 Each bay can support drives with up to 4TB capacity. 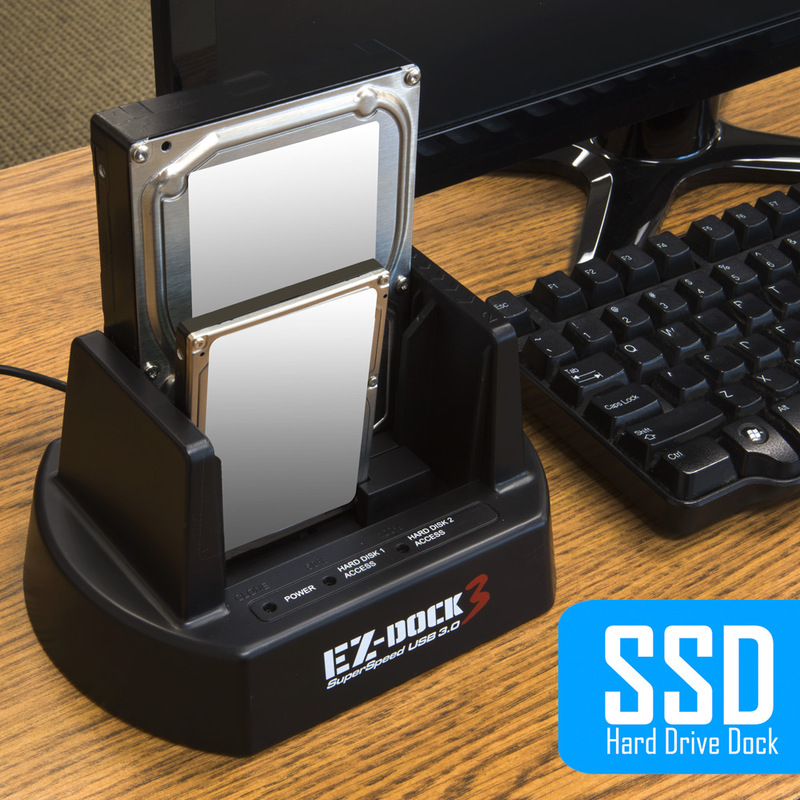 You can also mix and match any HDD or SSD and any disk size at the same time. 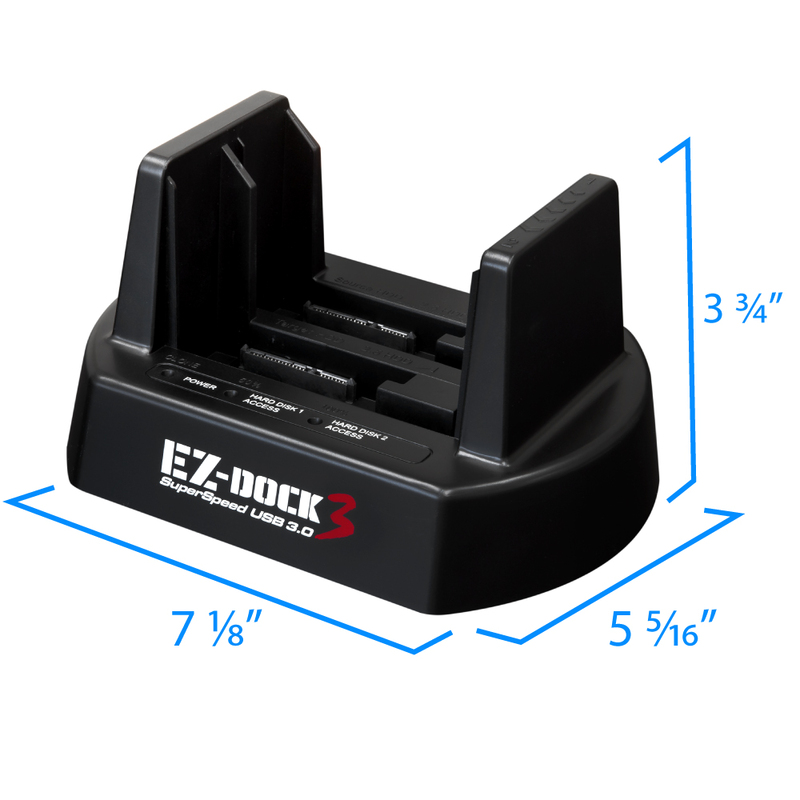 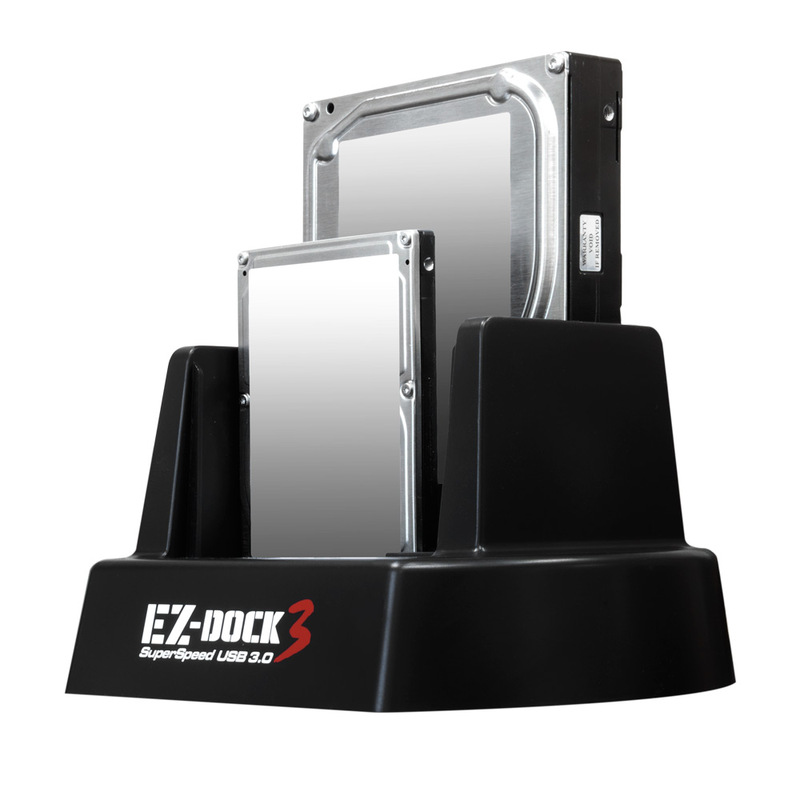 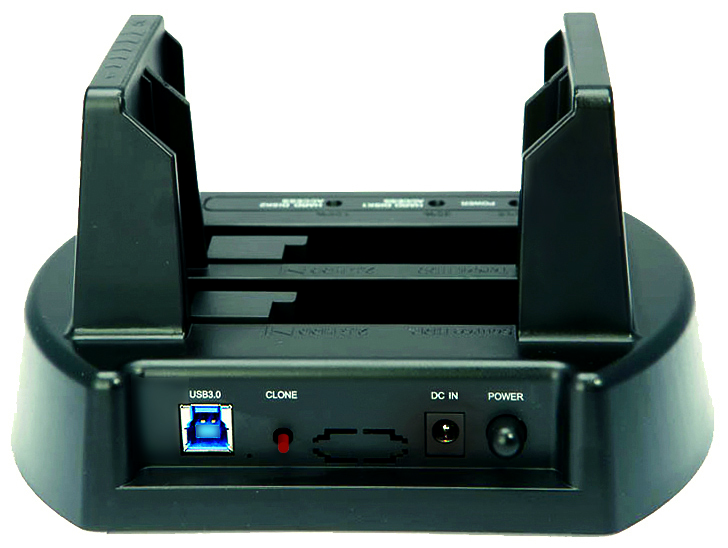 The EZ-Dock 3 also has a Power and two Drive LEDsatus indicators. 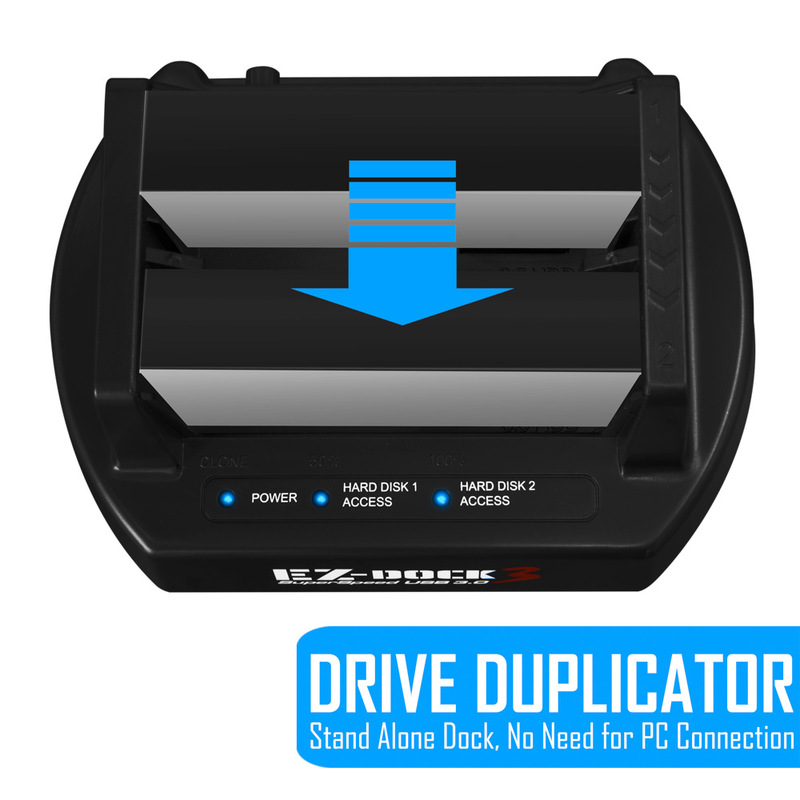 A feature that allows you to duplicate or clone the entire drive to another faster or larger drive wihtout having to connect to a PC. 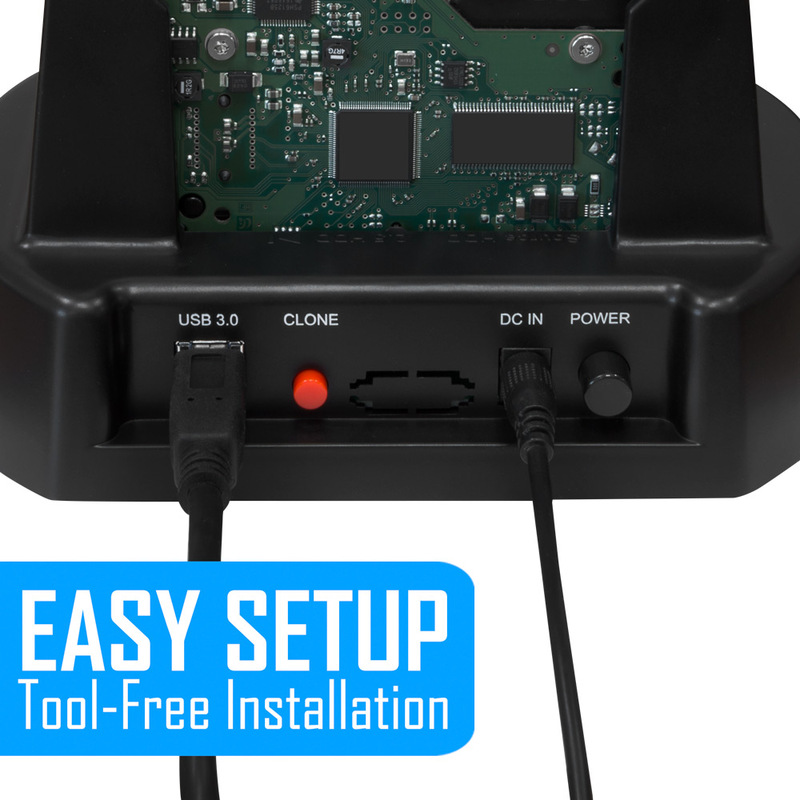 Simply plug the source drive to Bay-1 and the new drive to Bay-2, turn on the EZ-Dock 3 power and simply push the clone button to begin. 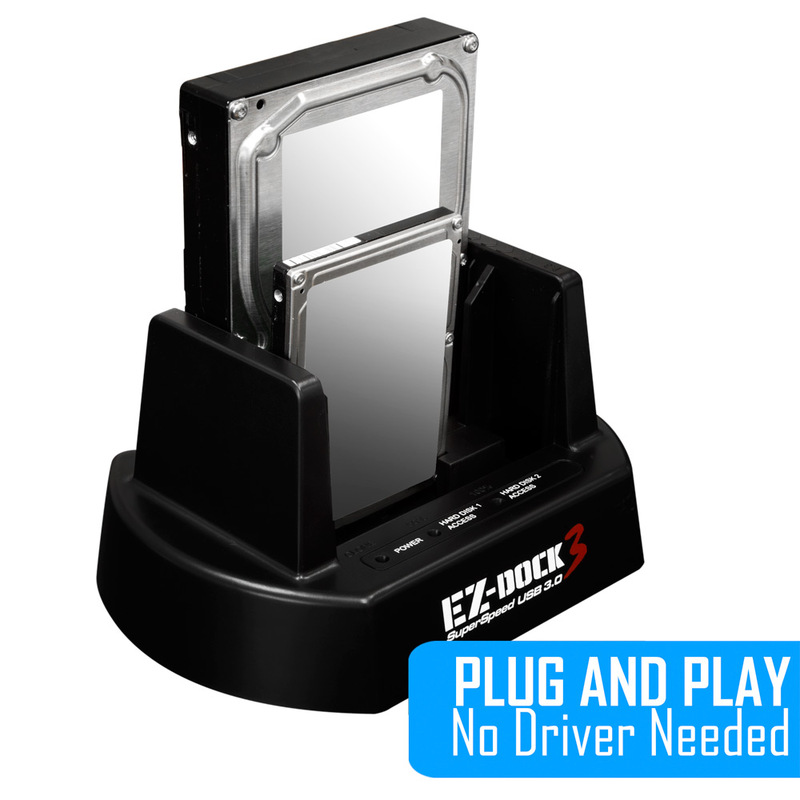 The result is two identical drives containing the same files, boot sector, partition table and sile system format. 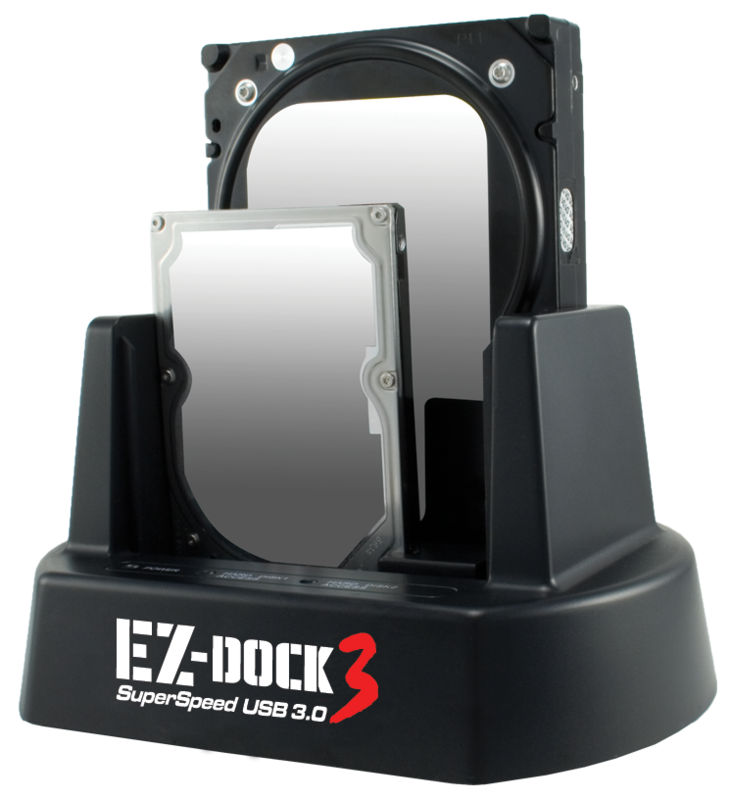 If the destination drive is larger than the source drive, the remaining partition of the drive that was not used during the cloning process will be converted as an unallocated partition. 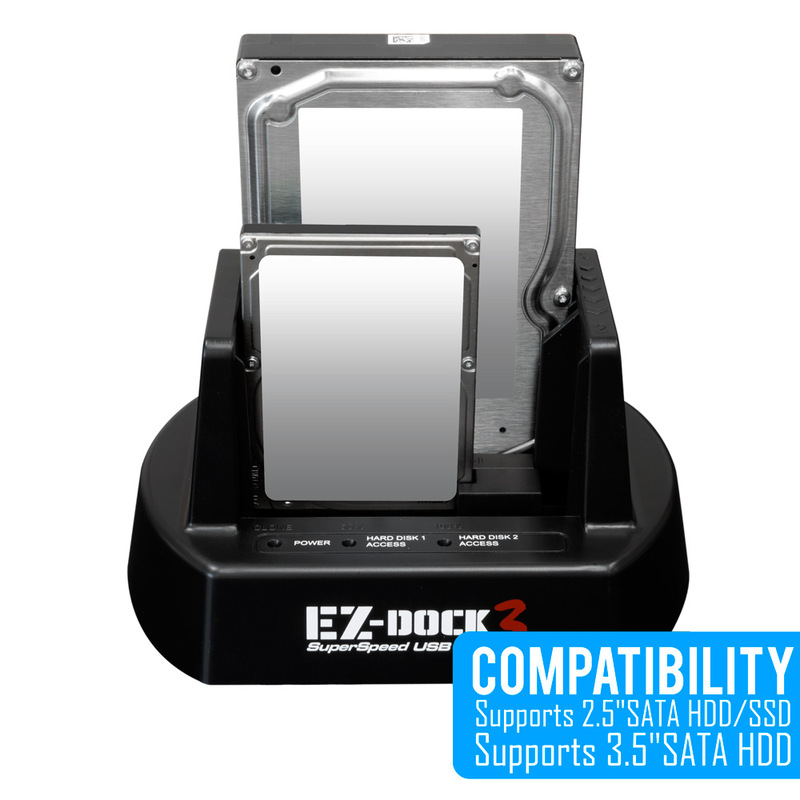 You can still repartition and format that partition as another extra logical drive. 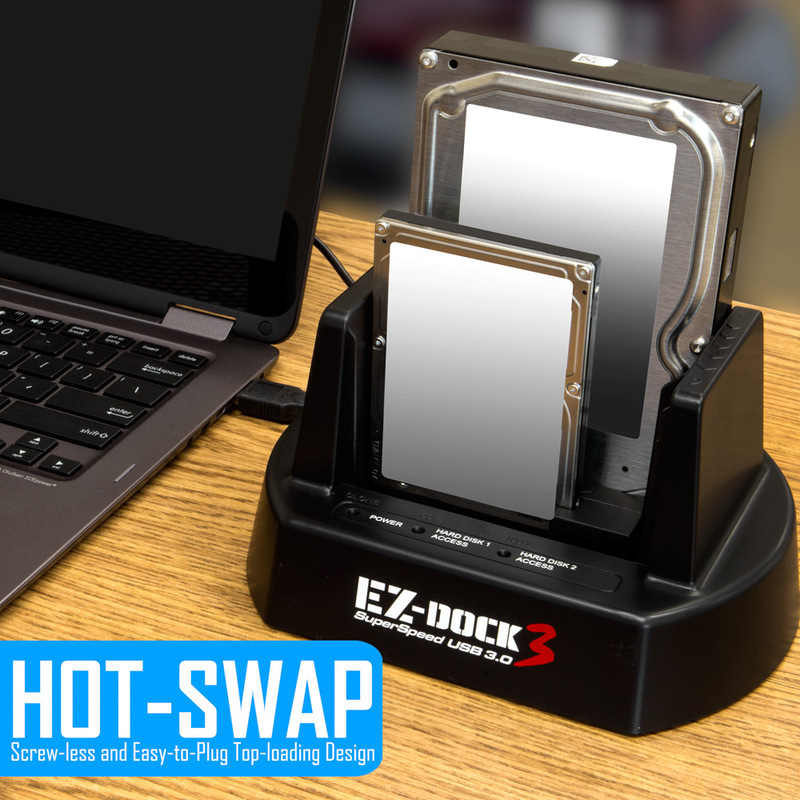 An award-winning choice for USB 3.0 dual-bay SATA drive docking solution that is sleek in design, portable and packs a lot of features, performance, expandability, and great value for your money.